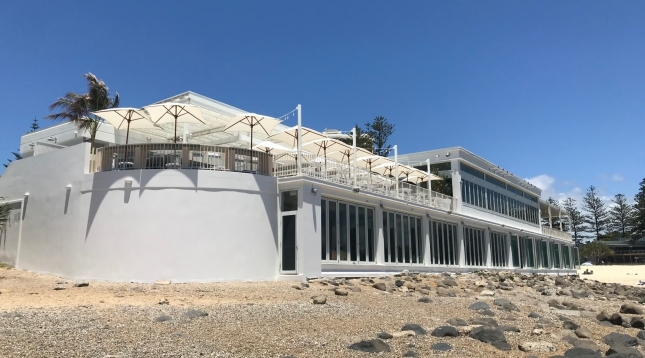 Situated on Burleigh Heads Beach, the Burleigh Beach Pavilion renewal leverages the natural setting in one of Australia’s iconic beach suburbs, Burleigh Heads combined with growing tourism, quality food and beverage offers. The project included alterations to the existing structure and façade. An extension and fitout to the upper level restaurant provides new dining spaces and an outdoor dining terrace. Slattery provided full cost management services from early design stages, tender analysis and post contract services through to completion. Images courtesy of ATG Projects.